The kennel is for the dog a pleasant and quiet place, a sort of secluded den in which to spend a few hours away from the annoying men who always want to make him do something: training, play, walks, cuddles. A dog accustomed to kennel feels even quieter when he has to travel by car, a bit like taking a part of his house on that strange self-propelled vehicle. Even the family atmosphere can benefit in particular and exceptional cases: if a friend arrives terrified by the mere idea of being touched by a dog, the best thing is to put in the kennel our Bernese Mountain Dog, now accustomed to his lair, with maybe a good bone to gnaw on. He will be calm and happy, while our friend will avoid a useless heart attack. The kennel is also particularly useful if, during a trip, you have to go to a hotel with the dog; if already accustomed, you can leave it in your room without the fear that it will cause disasters once left alone. What types of kennels are there? Various Kennels: it is identical to the carrier of the puppy, only much larger, and is mainly used for air travel. It is closed on three sides with two side air intakes. The door on the side is made of wire mesh and allows good ventilation and visibility. It is much appreciated by dogs because it is protective and simulates very well the den. Cage of folding wire: it is used above all for the trips in car and to arrange the dogs in the dog shows. Ideal in summer, it is very comfortable because it is foldable, so with a small footprint even if it is not used in everyday life. The den effect can be recalled if you cover it with a cloth, which is only possible if the dog is not a gnawer and therefore does not pull the cloth itself into the cage. 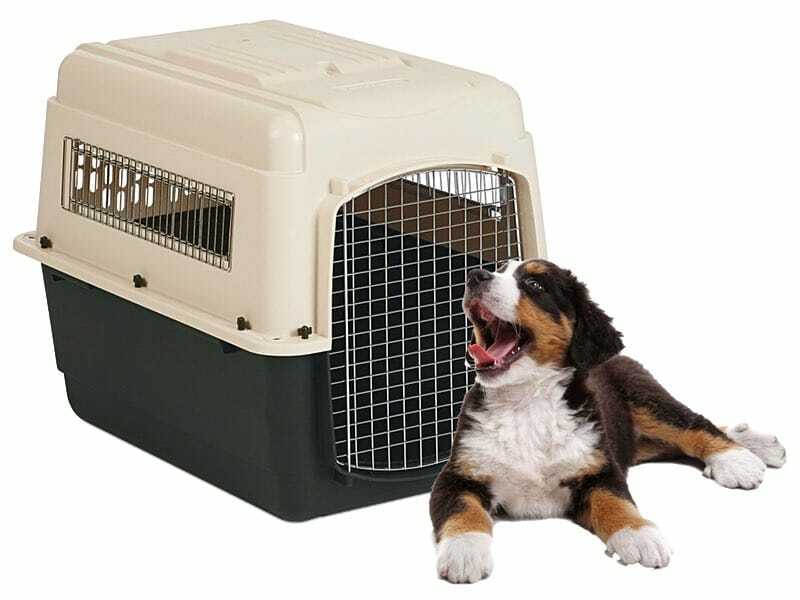 The ideal size for both types of cage: the dog must be able to stand with his head upright and must be able to lie down comfortably.